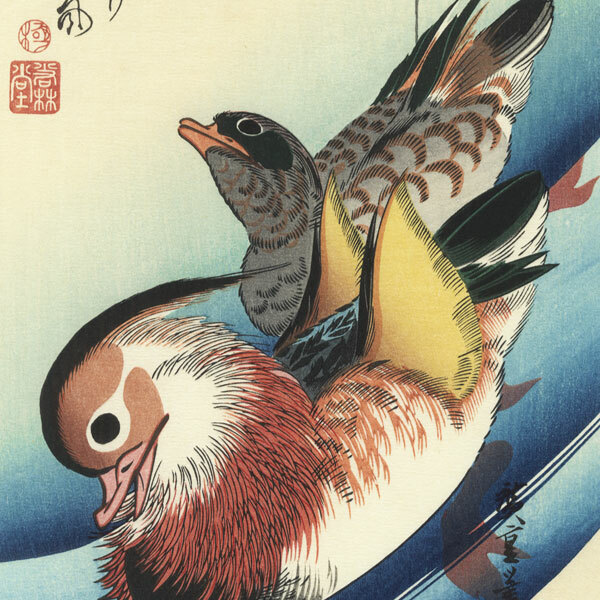 Comments - Beautiful Hiroshige kacho-e (birds and flowers) subject of two mandarin ducks swimming in a rushing stream, the current indicated with soft gradations of blue. The birds are beautifully detailed with fine line work. A lovely choice for framing.